Medical Industry has emerged as a full-fledged part of the service sector domain of the economy. The life-supporting and life-enhancing nature of the medical industry have helped the industry to build a strong base for itself on the back of a large number of users. The industry (just as any other industry) stands on the support of many professionals that acquire different roles and responsibilities as a part of the medical industry workforce and contribute to the service network through their functioning. The medical industry much like any other industry calls for a diverse range of manpower solutions. The demand for manpower commonly includes demand for employment of professionals that include medical practitioners like nurses, doctors, and pharmacist along with a host of non-medical personnel like managers, assistants, co-coordinators, etc. To address to this diverse scale manpower needs of medical and healthcare industry dedicated agencies in the face of medical employment agencies offer their services. Medical employment agencies act as a common platform for all kinds of recruitment and staffing needs that medical and healthcare establishment/firms float. The Alliance recruitment agency is a renowned name in the domain of medical recruitment form quite sometimes. Having placed many candidates with our clients spread across India and abroad, we commit to offer you solutions that are in sync with your needs. We cater to the needs of both the job seeker and the employer through our service delivery. Medical Placement agencies offer a wide range of staffing solutions to the medical and healthcare firms. These agencies are a common choice of medical and healthcare firms to get holistic and comprehensive recruitment solutions outsourced. These medical placement agencies offer a good number of Medical staffing solutions that are comprised of a many services packages. 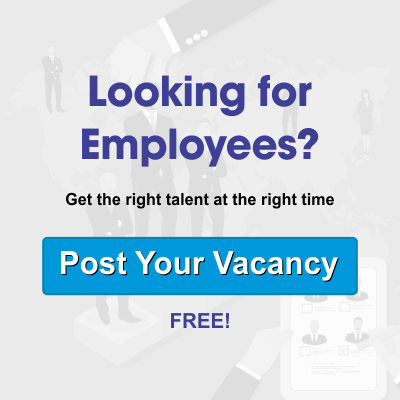 A wide range of recruitment solutions ranging from nursing staff solutions to Doctors recruitment solutions and from part-time hiring to full-time hiring of employees are covered under the medical staffing solutions. As per the needs of the firms customized and medical placement agencies offer on-demand medical staffing solutions. These medical placement agencies ask for a detailed list of requirements and the description of job profile form the respective client and work accordingly on the solutions to ensure the quality of service. At, Alliance we offer solution delivery strategy in sync with the requirements that clients provide. We commit to providing services professionally. Alliance as your staffing agency offers you a chance to encash all these and many more benefits.